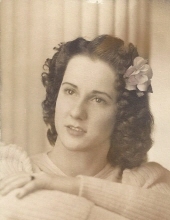 Viola M. Robbins, age 93 years, of Ringoes, NJ, died Tuesday, April 9, 2019, at Hunterdon Care Center, Raritan Township, NJ. Born in South Brunswick, NJ, July 1, 1925, daughter of the late Tony and Sarah J. Gulick Luizza, she had formerly resided in South Brunswick, NJ and had resided in Hunterdon County since 2014. Viola was a homemaker and was a loving and devoted wife to Elton “Red” Robbins, who died in 2004. She was a former member of the Golden Age Club of South Brunswick. Viola also enjoyed hosting parties, was an excellent cook, collected antiques, and was an avid gardener. Viola also enjoyed spending time with her loving family. The last of ten children, she is survived by two sons and four daughters-in-law, Roger and Elaine Robbins of Ringoes, NJ, Teddy and Joan Robbins of Emmaus, PA., four grandchildren, April Carbone, Kim Shaheen, Matthew Robbins, and Amanda Robbins; and six great-grandchildren: Abby, Elton, Aidan, Jack, Harrison, and Violet. Cremation services will be private under the direction of the Holcombe-Fisher Funeral Home, 147 Main Street, Flemington, NJ. "Email Address" would like to share the life celebration of Viola M. Robbins. Click on the "link" to go to share a favorite memory or leave a condolence message for the family.